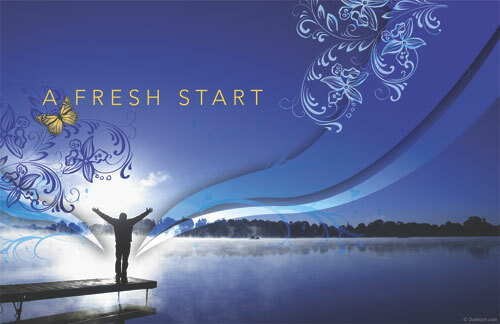 To make a fresh start means to make a new start or to start something again. This expression is used when things have not been going so well and a person wants to change their situation. On days like today, at the start of a New Year, many people see an opportunity to make a fresh start, to put any bad situations behind them and to move on to something new. It is a time of hope and change. Example Usage: I'm going to put last year behind me and make a fresh start. To celebrate the beginning of the new year at midnight on 31st December. Example Usage: We are planning a big party to ring in the new year. How did you ring in the new year? An explosive device that produces an exciting display of coloured light and makes a loud noise. Fireworks are usually used as part of a celebration such as New Year's Eve. Example Usage: The celebration ended with a spectacular display of fireworks.